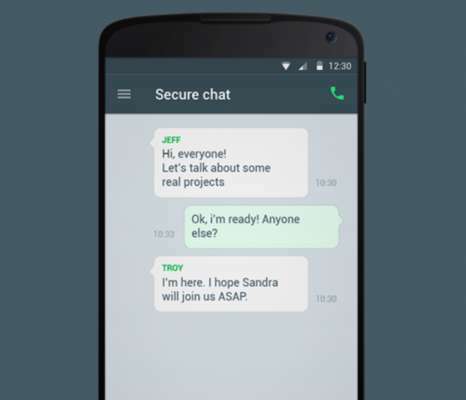 Syber Criminal Activites is very concerned about the security of its messaging apps. Because, most people share their personal photos and information with instant message messaging app, such as Facebook and WhatsApp. Both of these apps have an end to and encryption feature for security, but there are some apps that do not have any security features. You can download keybase to activate the chat made on your social media, which has its social media integration with its encrypted chat service. Now open the setup and install it. Click 'Yes' when prompt and create your account in free. To connect this app to your social media account, you need to first verify your accounts with a desktop account. You will post something on your wall as soon as the verification is done. If you are looking for a profile, please read it carefully and follow its instructions. To start this process, you have to enter the username of your social media account. Until then, you can install add-ons for Chrome and Mozilla Firefox browsers, as soon as you install, you will see a keybase button on all social media sites. To encrypt your chat you will have to click the keybase button, and to do all this, you need to verify your social media account on the keybase. The keybase offers encrypted channels to both iOS users and Android users.